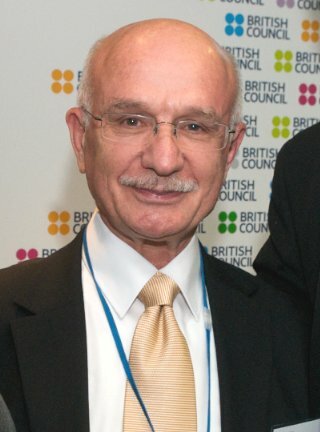 Previous distinguished recipients of the Lifetime Achievement Award: Professor Ali Mazrui (2000), HE President Ali Izetbegovic (2001), Dr. Zaki Badawi (2002), Professor Edward Said (2003), Dr. Martin Lings (2004), Professor Fuat Sezgin (2005), Professor Muhammad Abdel Haleem (2006), Dr. Mustafa Ceric, Grand Mufti of Bosnia (2007), Professor Seyyed Hossein Nasr (2008), Professor John L. Esposito and Professor Charles E. Butterworth (2009), Professor Bekir Karlıaga (2011), Professor Nadia Mustafa (2012), Faculty of Islamic Studies, University of Sarajevo, Bosnia and Hercegovina (2017). Click here for award flyer(pdf). 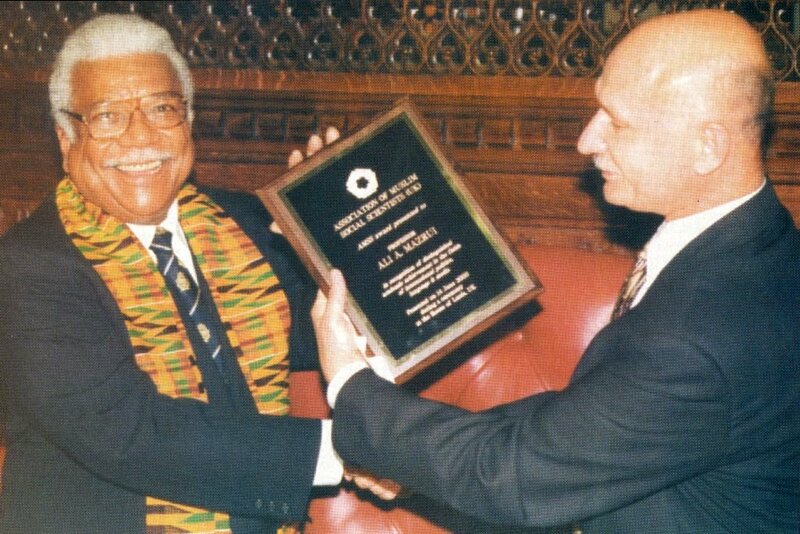 Professor Ali Mazrui accepting AMSS's first Lifetime Achievement Award on 14th June 2000. It is with great sadness that we mark the passing away of world renowned scholar, and leading African academic and intellectual, Professor Ali Mazrui who died on 13 October 2014 aged 81. During an outstanding academic career which spanned many decades he earned both national and international respect for the depth of his scholarship and impressive writing. A man of great character as well as intellect, he exuded joviality and charm. He also made history on Wednesday 14 June 2000 by becoming the first African to launch a book and address a distinguished audience at the Moses Room, The House of Lords, UK. 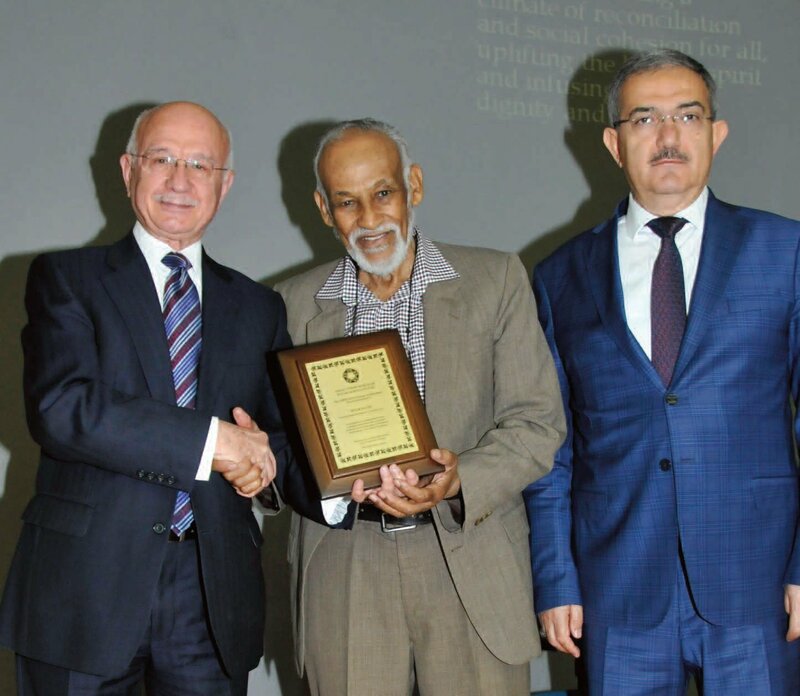 Dr Anas Al-Shaikh-Ali, CBE, Chairman of the AMSS (UK), marked the occasion by presenting Professor Ali Mazrui with the AMSS's first and newly established Lifetime Achievement Award. The AMSS UK was pleased to organise a scholastic module for a group of IIUM High Achievers and SRC Members in London as part of the IIUM Global Leadership Trainging for students. The event took place 24th-25th August 2014 at Malaysia Hall in London. Lecturers included Dr. Mehmet Asutay, Dr. Bassam Saeh, Mrs. Imelda Ryan, Mrs. Kathleen Roche-Nagi, and Dr. Anas Al-Shaikh-Ali (Chair, AMSS UK). A selection of IIIT publications was presented to students, administrators and lecturers. 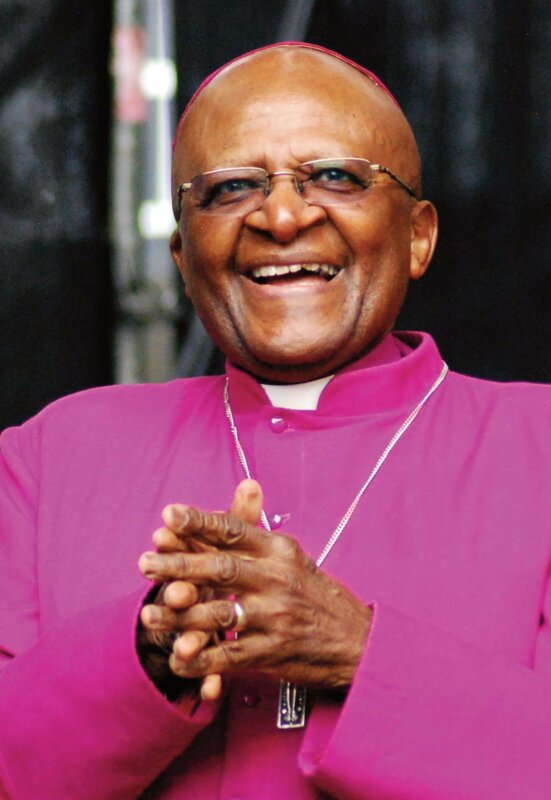 The AMSS UK is pleased to annouce that it will be presenting their 2013 Building Bridges Award to Rt Rev Bishop Desmond Tutu. The Award is being presented in recognition of Bishop Tutu’s sustained and courageous efforts to promote peace, harmony and goodwill, both locally and internationally, for passionately championing the cause of human rights across the world, and for working tirelessly towards realizing a climate of reconciliation and social cohesion for all, uplifting the human spirit and infusing it with dignity and hope. Please click here for the annoucement flyer (pdf). The AMSS (UK) LIFETIME ACHIEVEMENT AWARD for 2010 was presented to PROFESSOR NADIA MUSTAFA, the former Professor of International Relations, University of Cario, Egypt, in recognition of outstanding scholarship, research and prolific writing on the study of the impact of religion on society, Western and Islamic paradigms of international relations theory, and analysis of intercultural dialogue. 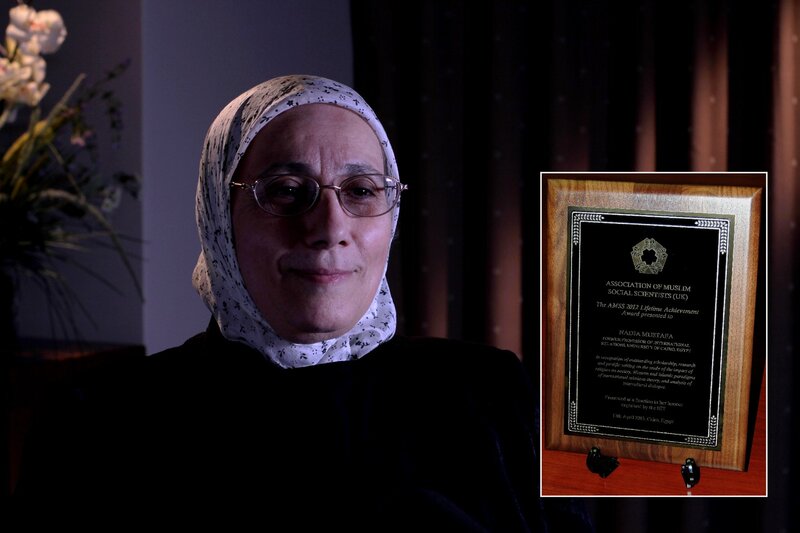 The award was presented to Professor Mustafa on 26th March 2013 in Cairo, Egypt, at an event organised in her honour by IIIT. Click here for award announcement (pdf). The AMSS UK have produced two new publications in their Occasional Paper Series. Occasional Paper No 3: Europe & the Near East: The Presence & Absence of Metals by Jack Goody, queries the assumption of the earlier advantage of the West in attaining industrialization. 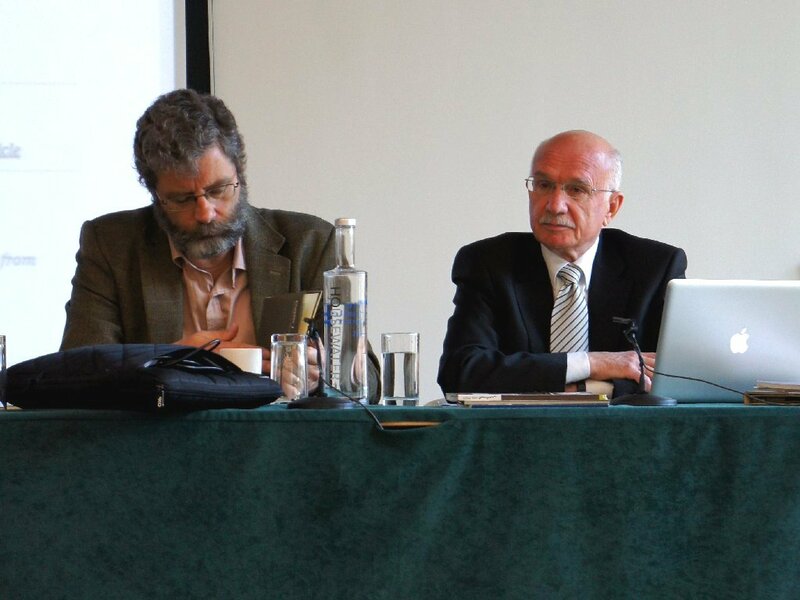 Occasional Paper No 2: Henry Stubbe & the Prophet Muhammad: Challenging Misrepresentation by Nabil Matar, discusses the history of medieval and early modern European writings about the Prophet Muhammad (pbuh) which shows a consistent pattern of misunderstanding. The AMSS (UK) BUILDING BRIDGES AWARD for 2010 was presented to PROFESSOR AHMET DAVUTOGLU, the Foreign Minister of Turkey, in recognition of outstanding scholarly service, exceptional work on building bridges between communities and nations, and developing peaceful solutions to conflict. 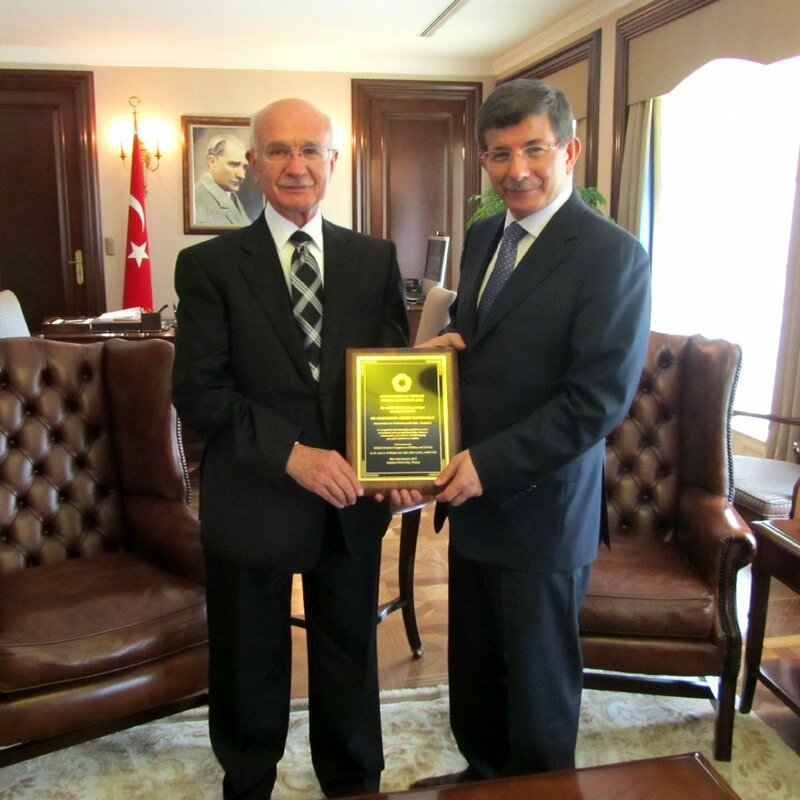 The award was presented to Professor Davutoglu on 9th October 2012 in Turkey. Click here for award presentation press release (pdf). Click here for article in Asharq Al-Awsat (external link). The AMSS (UK) LIFETIME ACHIEVEMENT AWARD for 2010 was presented to DR. ANWAR IBRAHIM, the former deputy Prime Minister of Malaysia, in recognition of long and distinguished service in the field of politics and economic thought, the promotion of the cause of good governance, and commitment to the principles of freedom, tolerance and justice. 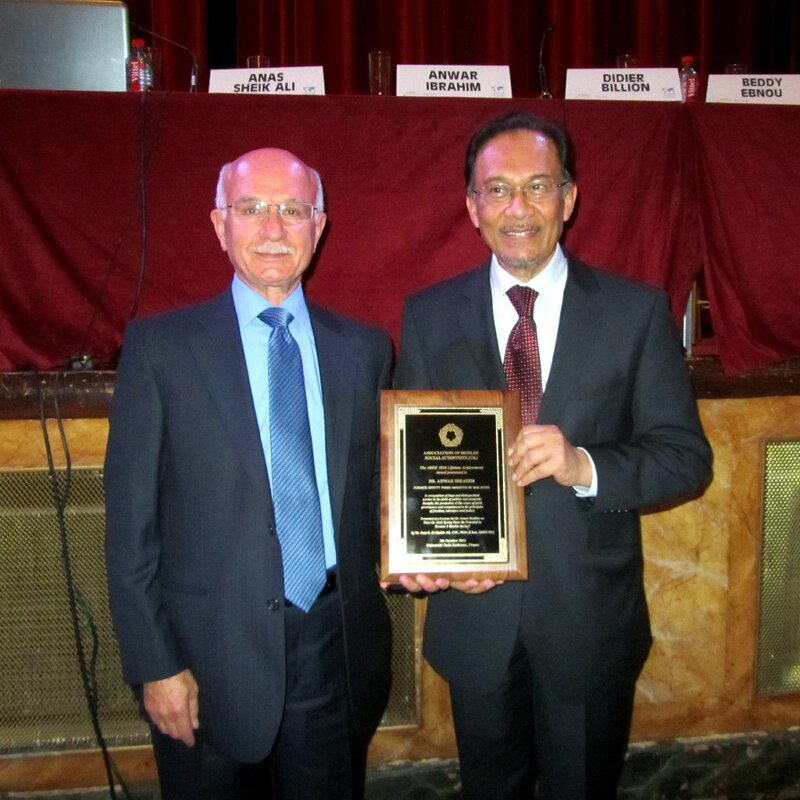 The award was presented at a lecture by Dr. Anwar Ibrahim, on 4th October 2012 at Sorbonne, Malesherbes,108 Boulevard Malesherbes 75850 Paris cedex 17, FRANCE. Click here for award presentation press release (pdf). 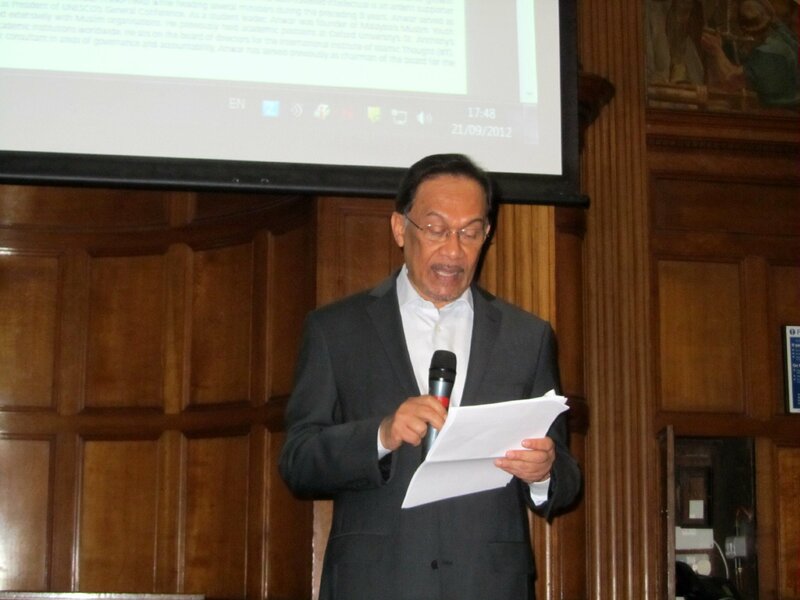 The lecture "ISLAM AND MULTICULTURALISM: The South East Asian Experience" was delivered by Dr Anwar Ibrahim, the Former Deputy Prime Minister of Malaysia, on 21st September 2012 at the University of Westminster, London, UK. 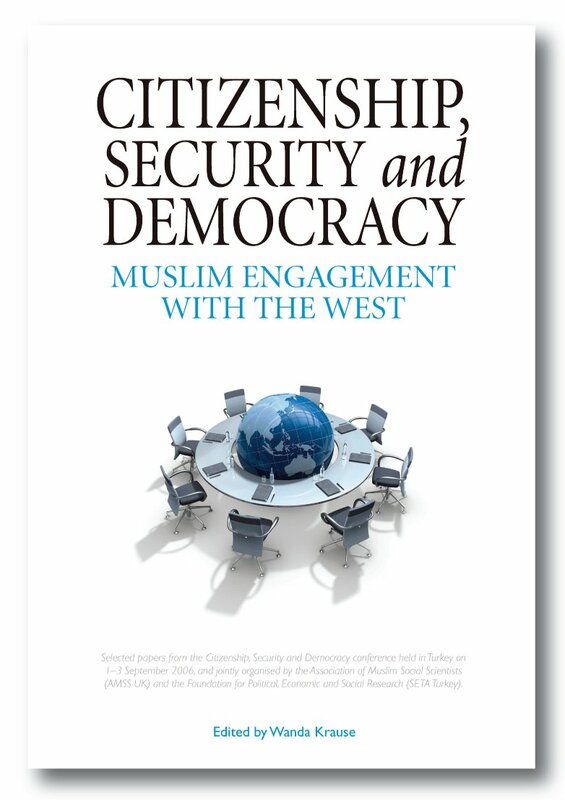 The event was organised by The Democracy and Islam Programme, Centre for the Study of Democracy, University of Westminster, in cooperation with The Association of Muslim Social Scientists (AMSS UK). Dr Ibrahim's lecture and was well received, followed by a question & answer session. For more information click here for the lecture flyer (pdf). More photos can be seen on the AMSS UK news page. The British Council together with the HRH Prince Alwaleed Bin Talal Centre of Islamic Studies, University of Cambridge, and other partners (including AMSS UK), held a conference Acknowledging a Shared Past to Build a Shared Future: Rethinking Muslim/Non-Muslim Relations 28-30 March 2012 at the Centre in Cambridge. Dr Anas Al-Shaikh-Ali (Chair, AMSS UK), Martin Rose (British Council) and Simon Kuper (Journalist, The Financial Times) joined a panel discussion to detail some of the lessons learned when the British Council and AMSS UK priduced a guide for the media to better understand British Muslims. The panel discussion was chaired by Rosemary Hilhorst, OBE, Regional Director, European Union, British Council. 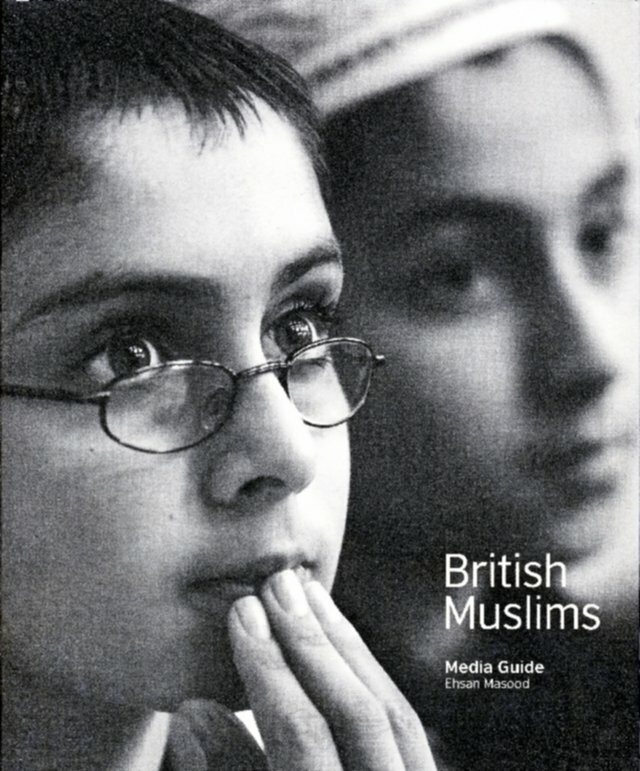 The British Muslims Media Guide was written by Ehsan Masood in 2006, and has since been translated into Arabic. left to right: Ehsan Masood (Author of the Media Guide), Simon Kuper (Journalist, The Financial Times), and Rosemary Hilhorst, OBE (Regional Director, European Union, British Council). left to right: Martin Rose (British Council) and Dr. Anas Al-Shaikh-Ali, CBE (Chair, AMSS UK). The British Muslims Media Guide. Arabic translation of the British Muslims Media Guide. 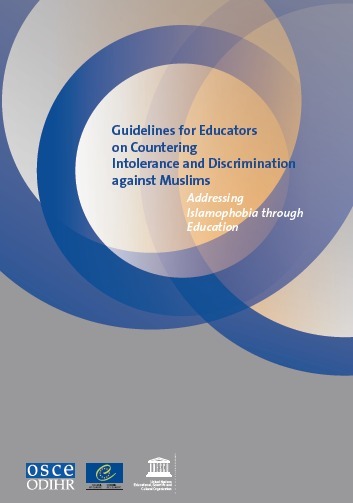 OSCE/ODIHR, Council of Europe and UNESCO jointly published in 2011 the Guidelines for Educators on Countering Intolerance and Discrimination against Muslims - Addressing Islamophobia through Education booklet. Dr Anas Al-Shaikh-Ali, CBE, chair of AMSS UK, participated in meetings leading up to the production of the Guidelines, which draws upon knowledge and experience from education experts, teachers and teacher trainers, inter-governmental agencies and non-governmental organisations. Click here for more information about the guide on the OSCE website. 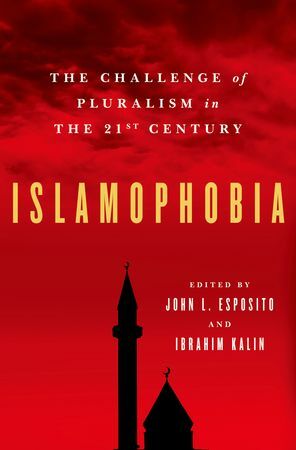 An article on Islamophobia by Dr Anas Al-Shaikh-Ali CBE, Academic Advisor to the IIIT in London UK, has recently been published in the Arabic newspaper Asharq Al-Awsat. Click here to read the Arabic article in full (external link to the Asharq Al-Awsat website). Martin Rose argues that history is as often a polemical weapon as a dispassionate exploration of the past. It can, at worst, support entrenched positions and inhibit understanding – but it also offers solutions to difficult questions of identity and belonging in today’s Europe. 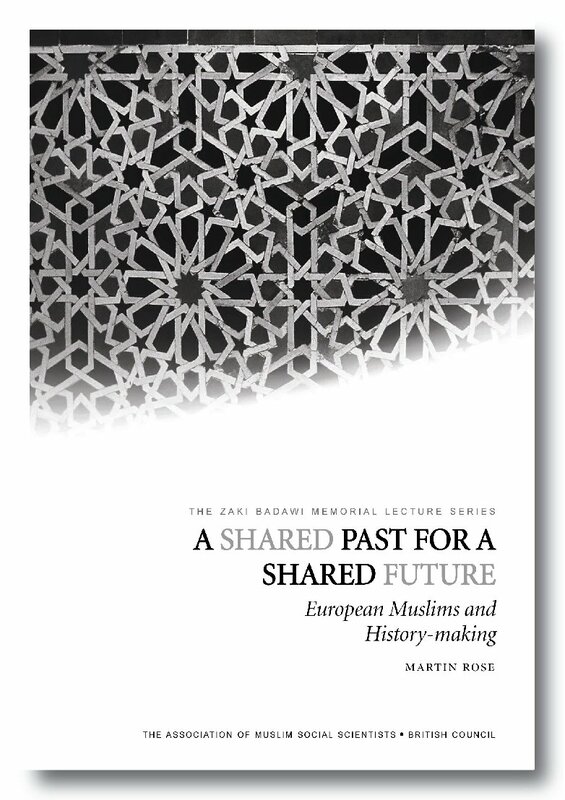 Seeing both Muslim and traditional European accounts of their own history as teleological and springing from their respective cultures, he argues for a thoughtful and open-minded approach to the writing of an intercultural history that explores much more fully the role of the Muslim East as a contributor to the ‘modern’ European mind; and at the same time acknowledges the shared, inescapable and potentially creative legacy of common imperial histories for today’s Europe. 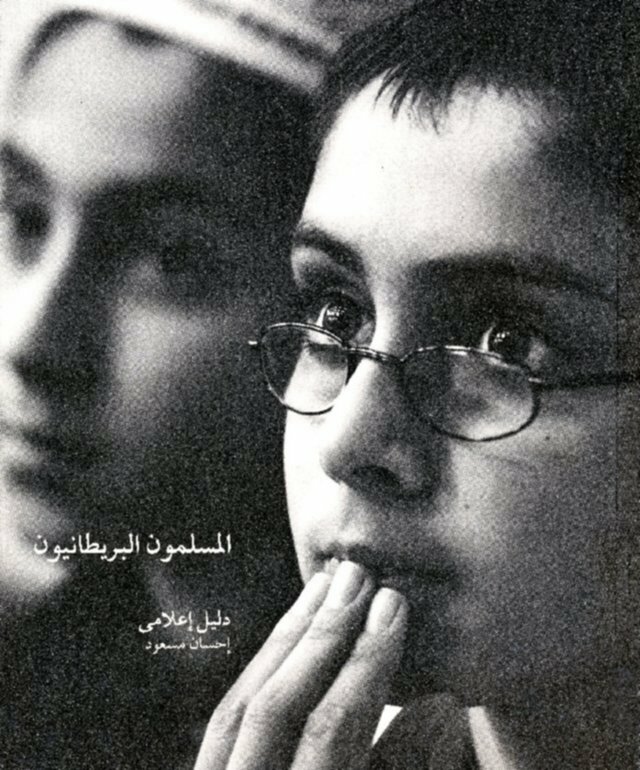 Selected Papers from the Citizenship, Security, and Democracy conference held on September 1–3, 2006, organised by the Association of Muslim Social Scientists (AMSS UK) and the Foundation for Political, Economic and Social Research (SETA). Click here for CSD Press Release (pdf). Click here for publications page.